Winterbrook Cattery is home to the Neva Masquerade. 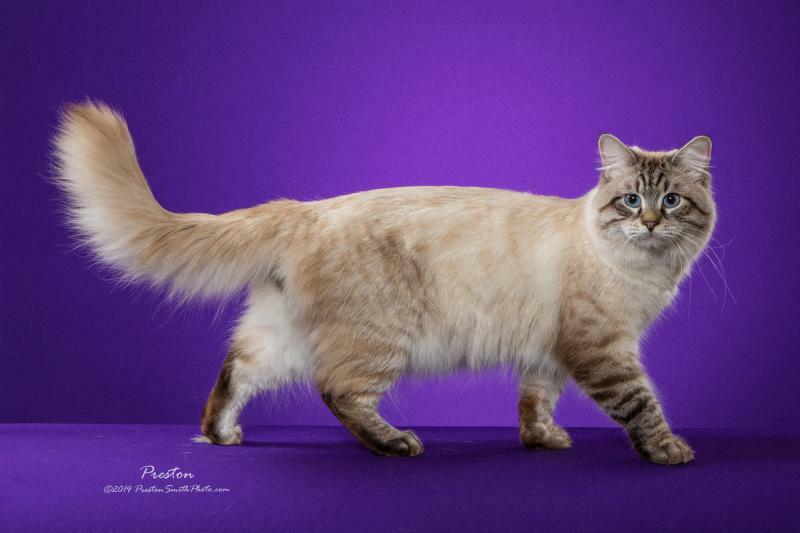 Neva Masquerade is the Colorpoint Siberian. Siberians are hypoallergenic cats. They are a very sweet natured cat with an almost dog like personality. We are located in Olathe, Kansas just outside of Kansas City, Missouri. 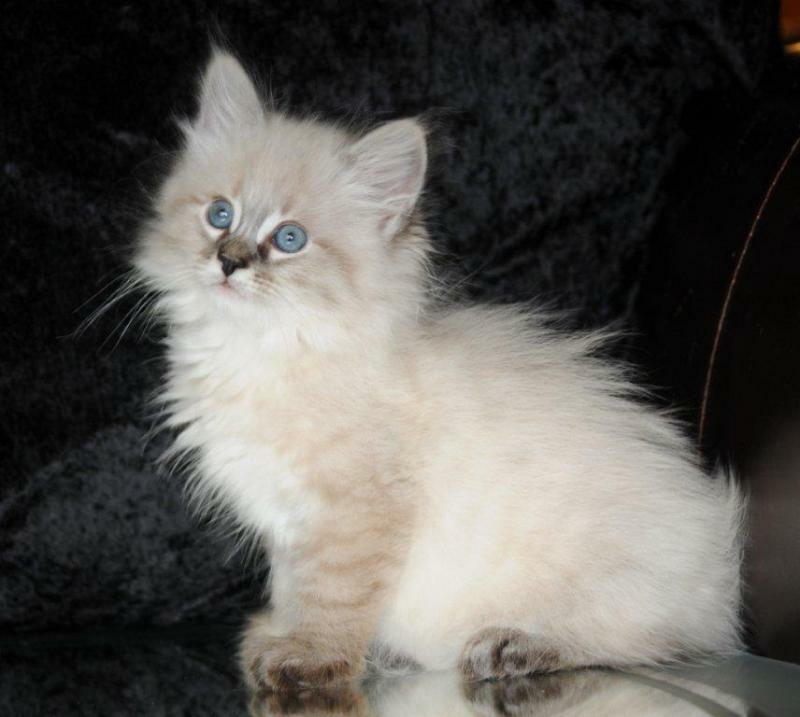 Siberian's are a medium to long hair breed of cat. They have a large ruff (mane) around their neck. Their tail is large and bushy almost fox-like. The bushy tail is used to wrap around their head covering their face, ears and extremities in the harsh Siberian climate. They have thick tufts of fur on their feet for protection against snow and ice as well as having 3 layers of fur. Neva Masquerade or colorpoint refers to the type of Siberian with blue eyes and markings or color on their face, ears, tail, legs/feet with a lighter body color. NEVA referring to the Neva River where they are thought to have their origin and MASQUERADE because they look to be wearing a mask and gloves.